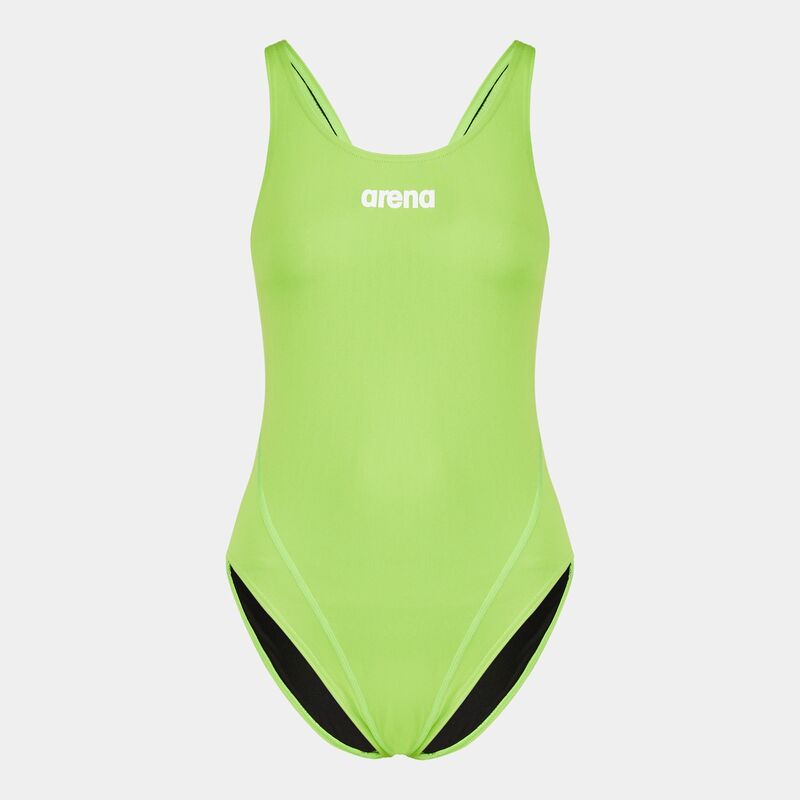 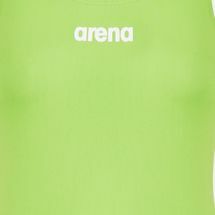 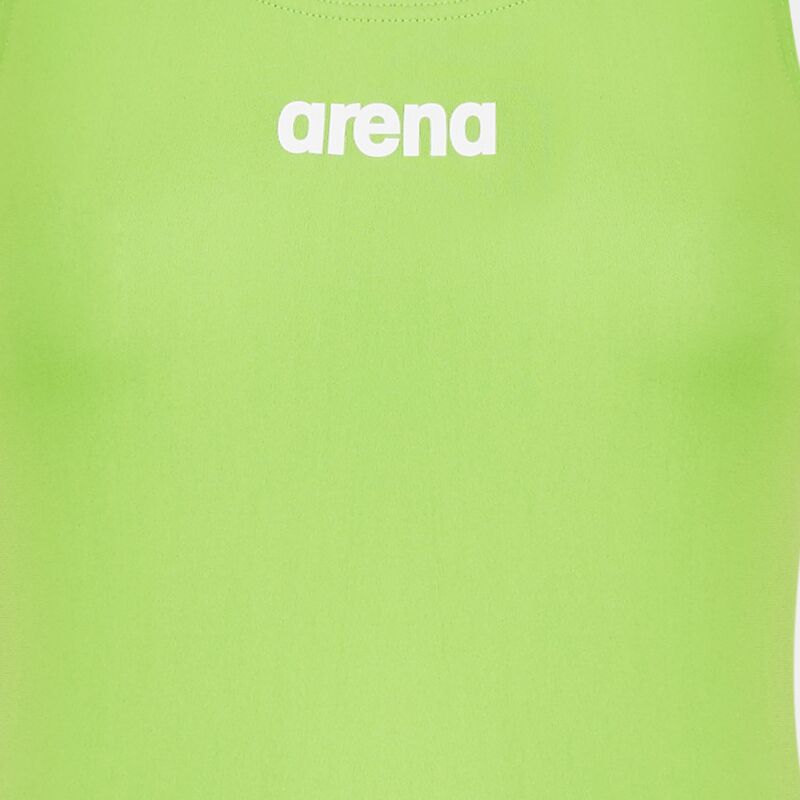 Hit the water in the Arena Solid Swim Tech High Swimsuit for women. 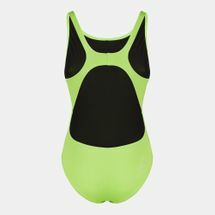 This one-piece swimsuit features diagonal panelling for body contouring. Its smooth MaxLife fabric provides chlorine-resistance and quick-drying for intensive underwater training, while a Swim Tech open back with supportive straps and a high-cut leg deliver a full range of motion.